Girls intrinsically love to look gorgeous when they have short frock designs 2019, they always look updated with new dress and shoes trends. 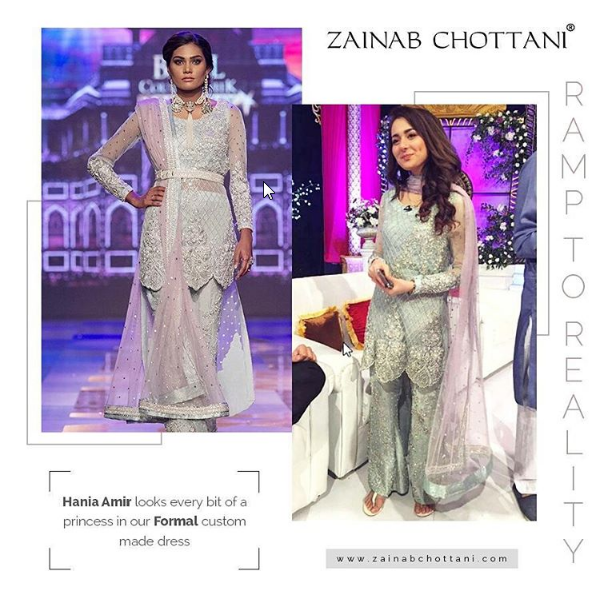 Till mid of year latest long shirts and frocks were trending, but 2019 is the year of short length frocks and shirts because it is observed on PFDC, L’oreal fashion week and etc that many designers such as saira rizwan, zainab chottani, zainab salma, Elan, Maria B party dress collection consisted of short length embroidered frocks. As 2019 is approaching, which means frock/shirt lengths would be short, therefore I decided to write a post about new short frock designs 2019 for girl in Pakistan to inform all the fashion conscious ladies to get ready for the latest short frock styles. To break the monotonous fashion of last years designers have also experimenting with new fabric such as embroidered net, velvet, organza instead of crinkle chiffon. Here we have collection of latest short frock designs 2019 for girls. If you are looking for a new trendy dress to attend any wedding, party or get together just choose a knee length frock style to make a right fashion statement because it will give you an awesome look. Frock style dresses are equally popular in western and eastern countries around the world. In Pakistan, India and Bangladesh frocks are designed traditionally while in western countries these frocks have many styles like midi frocks, trail gowns, prom dresses etc. 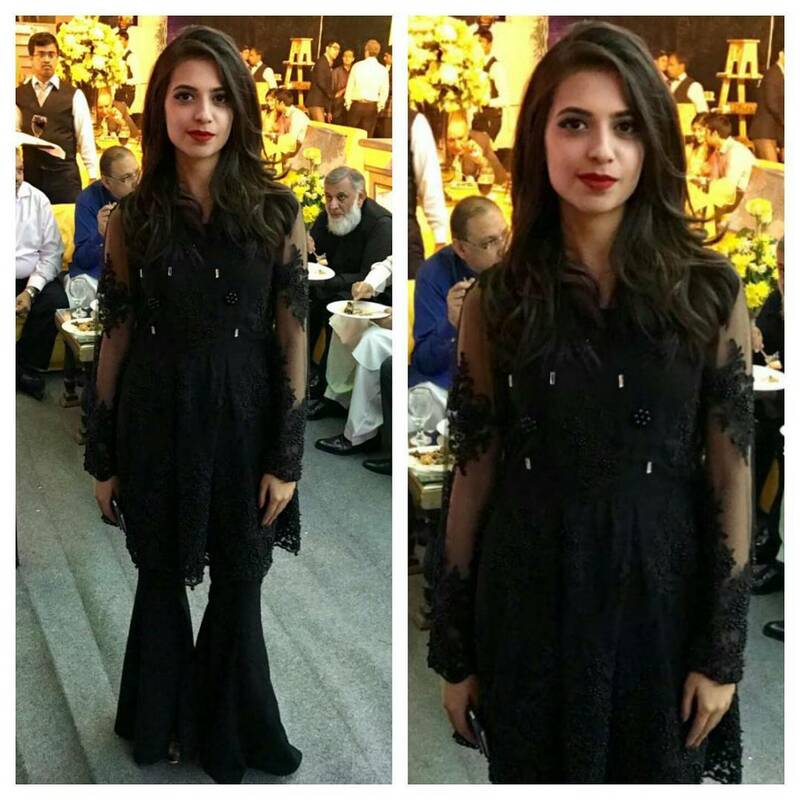 When it comes to Pakistani designers they keep experimenting with fusion cuts by blending eastern and western styles. This year they come up with the short length/knee length frocks in different styles to give elegant outlook to distinguish their customers from the rest. 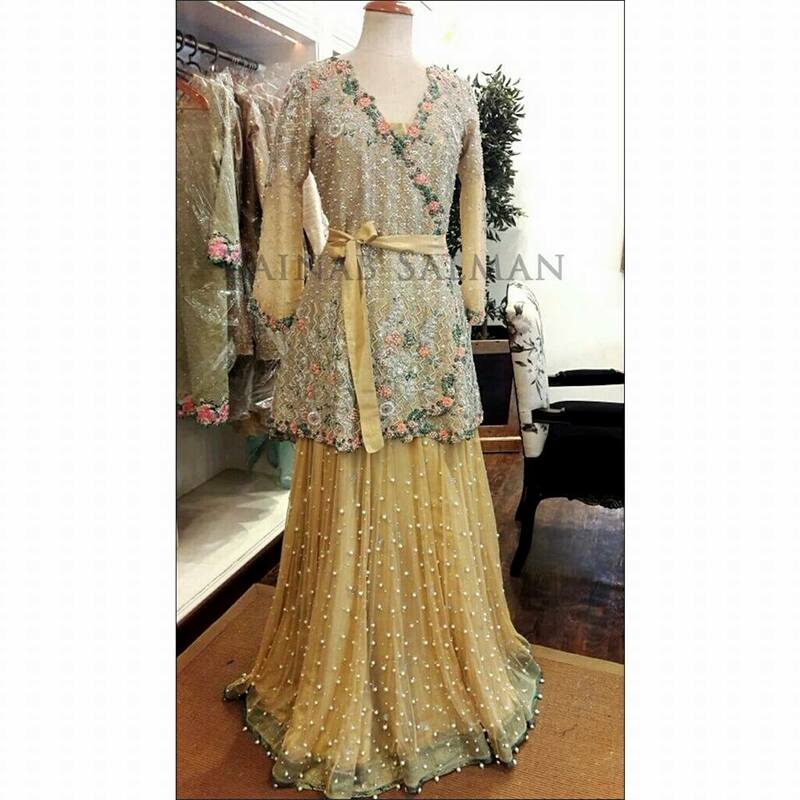 Have a look at Pakistani wedding frock designs 2019. Over the knee frock can look graceful with straight pant, tulip shalwar and bell bottom pants. To give a touch of uniqueness these frocks can be decorated with stylish waist belts. Have look at the frock designs 2019 given below. White net embroidered short frock with bell bottom pant is one of the stunning dress from ivy prints collection that can be worn on any wedding or party. Ivy prints short frock used embroidered net fabric to create trendy short length dress that gives a feeling of newness. 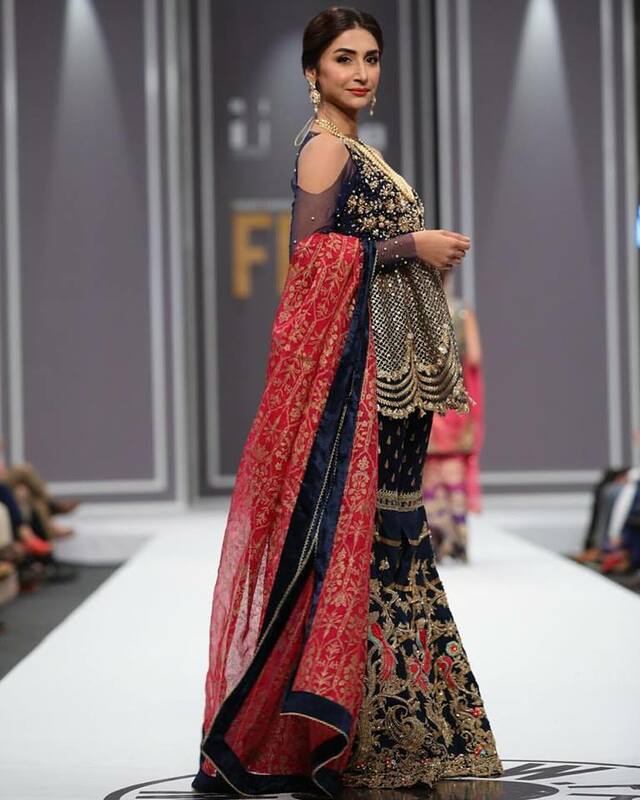 This is one of the Saira rizwan’s collection shown at Pakistan Bridal Week. This dress would look elegant for any wedding ceremony. Look the pastel green dress with embroidered motif and floral set paired with embroidered flared pant can stun at any event. Navy blue and pink jora 2019 by saira rizwan with all over gold embroidery and pearl embellishment can be perfect jora for mehndi brides. This white and pink embroidered frock could be a perfect option for semi formal event or party. 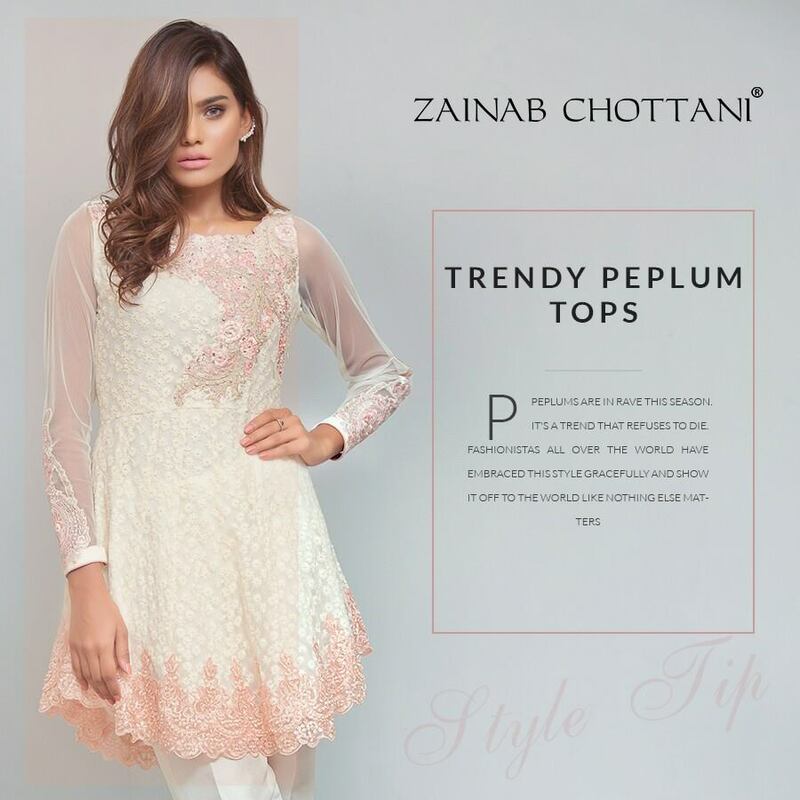 If you want to be in spot light go for zainab chottani intricately embroidered short length frocks or peplum in different colors paired with embroidered straight pants. You can also see these best wedding hairstyles for girls to wear with it. Zainab Salmans has paired kamdani frocks with embroidered bell pants to distinguish its customers from others and they look perfect.